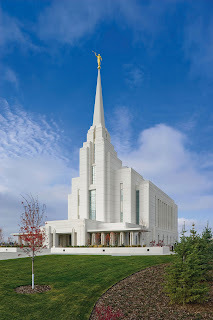 I'm really glad that we were able to attend the dedication and that we have such a beautiful temple of the Lord here in Rexburg now. Thanks for trusting us with your little ones! It was a good refresher course for us with a newborn. Jeff was such a baby hog, I only got to hold Rowan for a little bit before you came.